When I purchased Llama four years ago, my experimental RV-10, the engine was the most problematic part of the airplane purchase then. It had an unknown number of hours on it. It first flew on a Piper Aztec. That aircraft was parted out, then the engine was mounted in R44 helicopter. After an unknown number of hours, the engine was removed and then stored. The builder purchased that engine back in 2007, and did a top overhaul at a shop in Georgia. They installed new, nickel plated cylinders, high, 10:1 compression pistons, and pickled the engine. It sat for 5 years in pickled state until the builder was ready to put it on the airplane. When I acquired Llama, it had 106 hours on the airframe, and, presumably the same amount on the engine since top overhaul. It was consuming one quart of oil per 3.5 flight hours. This is on a high side, but as my mechanic explained, this is normal for an old engine. I casually monitored the cylinder compressions during annual condition inspections, and kept track of oil consumption. In 4 years until this June, the oil consumption increased to 3 quarts per hour. This was still within Lycoming’s specifications. At some time in September, I noticed abrupt change in oil consumption patterns. It seems the engine now demands one quart per two hours of flight. Talked to my mechanic, and he wants to see the aircraft for compression check. He advised me to “be careful” since I had multiple flights scheduled over the following few weeks. On October 10 I flew the airplane to Palo Alto for the mechanic to have a look at the cylinders. He did a compression check, and it appears that compressions on three cylinders, #2, #4 and #6 are 38, 38 and 41. This is much lower than just three months earlier, at the annual condition inspection. I decided to pull the affected cylinders to see what may be wrong. The mechanic warns that we may be opening a Pandora box (and he is right). All cylinders are nickel bore and the cylinder walls are wavy with a ring ridge. 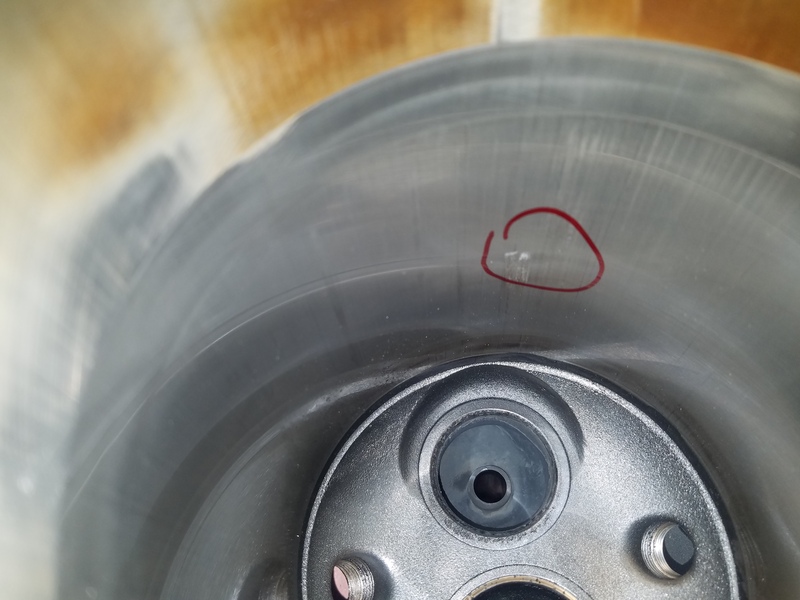 One of the cylinders has a crack in the cylinder head next to the exhaust valve seat. All three exhaust valves rejected due to excessive wear on the stem. One intake valve rejected due to pitting on the face. All exhaust valve guides are worn beyond limits. 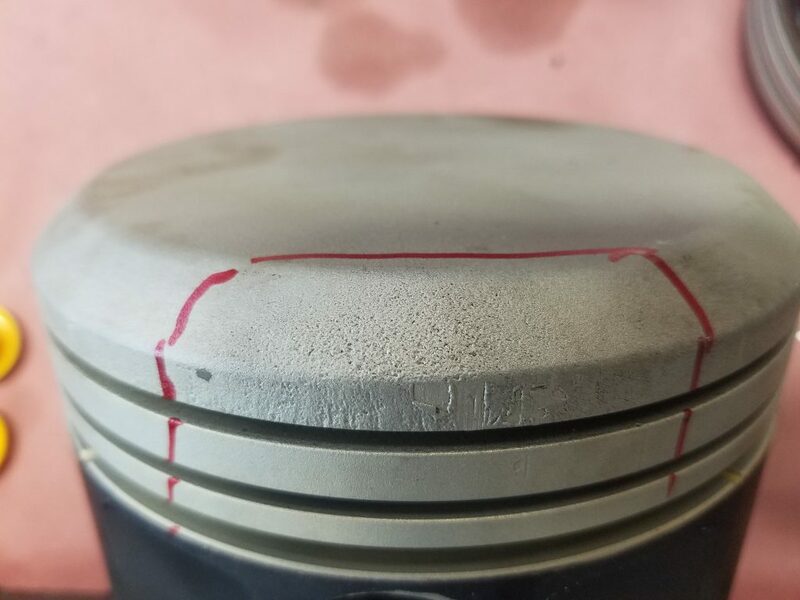 One piston is damaged from detonation. Those are some serious allegations against the engine. The shop’s advice is to perform so called IRAN (Inspect and Repair As Necessary) since they found evidence of detonation.